Experienced driver Michael Caine will contest the remainder of the 2016 Dunlop MSA British Touring Car Championship after agreeing a deal with Team HARD. Caine takes over from Chris Smiley behind the wheel of the TLC/RCIB Insurance Racing Toyota Avensis. 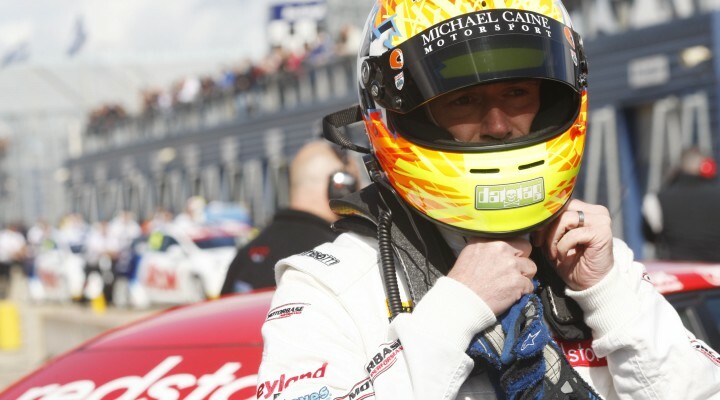 46-year-old Caine is a former British GT Champion and has previously contested three BTCC events in the 2011 and 2013 seasons, with a best result of eighth at Croft. Located near Newmarket in Suffolk, his Team HARD bow will take place at nearby Snetterton this weekend (30/31 July). Team HARD aim to continue working with Smiley, potentially with JamSport in the Clio Cup as the outfit are working partners with the BTCC team. “We want to be clear that we are still very much involved with Smiley,” said Team HARD boss Tony Gilham. “Chris is an amazing driver, but unfortunately the promised funds and support never came and so the off-track distraction hampered his progress and also development with the car. “Due to him being let down he has been up against it from day one and therefore unable to showcase what he can really do. “We’re absolutely delighted to welcome Michael Caine for the rest of the year, who can help push the car forwards. Located near Newmarket in Suffolk, Caine’s Team HARD bow will take place at nearby Snetterton this weekend (30/31 July). The 2016 Dunlop MSA British Touring Car Championship blasts back into action this weekend after its regular mid-season break. Caine will be part of a full 32-car grid at the Norfolk venue, where you can still purchase tickets – see www.snetterton.co.uk.